Finahub Official Blog: How Telecom Companies can benefit by implementing E-Sign? How Telecom Companies can benefit by implementing E-Sign? 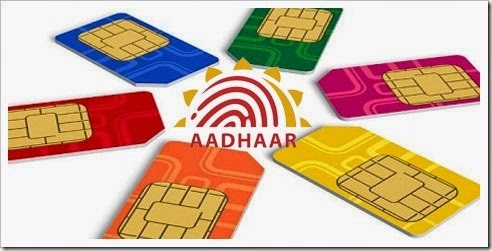 Aadhaar eSign is a Govt. of India approved digital signing service that uses Aadhaar data of the Aadhaar holder to sign digital documents without using any other software. Organisations like banks, telecom companies, stock brokers, insurance companies etc. stand the make significant gains by implementing eSign solutions. With eSign, these organization will now be able to make full utilization of their web and mobile infrastructure for providing services to their customers. At present customer either visits mobile connection company partner shops, or a salesman visits a customer. And all paperwork is getting manually filled and the customer has to handover passport size photographs, address proofs, id proofs etc. And the customer needs to sign each document physically. And mobile connection company validates this and it takes almost 2 to 3 days minimum to complete the process. Following are the steps happening when taking a new mobile connection via a website of the mobile company / from its custom mobile app. An OTP will be again sent to customers linked mobile number . If OTP is valid the earlier viewed document (pdf) gets digitally signed. Activation pending sim cards can be purchased or made freely available to customers in near by shops. Sales man ask the customer to place his/her finger on finger print scanner attached to the mobile device. Sales man asks the customer to place his/her finger on finger print scanner attached to the mobile device. If bio-metric matches the Aadhaar number the earlier viewed document (pdf) gets digitally signed. Sales man / mobile company can instantly handover sim card activate mobile connection right then.